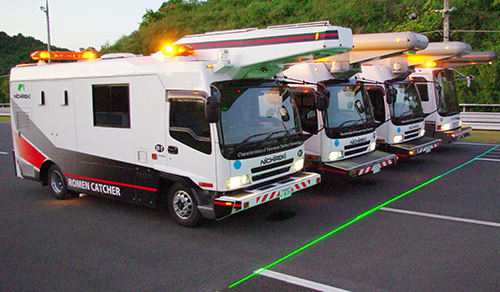 For the maintenance of roads, the long distances covered by the roads means that efficient management will be an important issue, even more than for other social funding provisions. 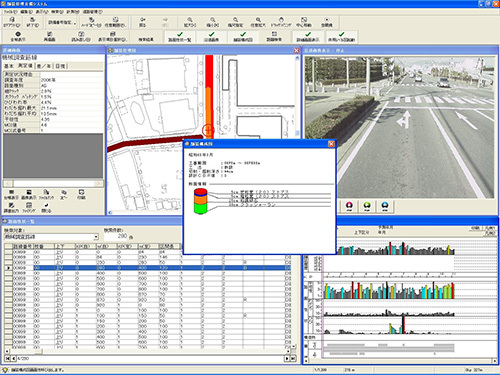 In order to practically carry out road maintenance and management, in addition to the road surface condition data described above it will be extremely important to arrange, store, and update basic road information such as the road management and characteristics data and the repair history data in an appropriate format. To realize this, Nichireki has constructed a comprehensive computer-based maintenance and management system which provides appropriate information.